Commercially you can buy a variety of gluten free flour blends. Many of them can be used as direct subs for traditional flours in recipes. Just as we talked about yesterday with the rice flour , these blends come at a premium. In my continued stubbornness pursuit of excellent homemade alternatives, I have developed a pretty awesome homemade gluten free flour blend. I put it all in a mason jar, shake it up, and store it in the fridge until it is needed. And shake again before using. The best part? You can use the brown rice flour from yesterday in the blend! The even better part? You can use the blend for tons of things! 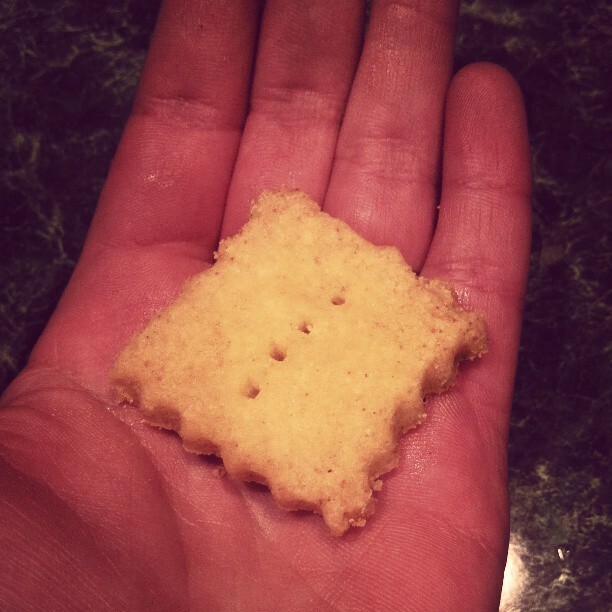 Including these adorable (and delicious) gluten free, vegan, ‘goldfish’ crackers. I simply subbed the gluten free flour blend for the 1 cup of flour in the recipe. I also added some garlic and onion powder, for a bit of a kick. Have you ever used a (homemade or store bought) gluten free flour blend? What did you think? Pingback: Pie Crust [For a seemingly pie-less world] [Vegan/Gluten Free] | Make them whole foods. Make them delicious. And make sure you feel great eating them. Pingback: Pumpkin Bread [Vegan/Gluten Free] | Make them whole foods. Make them delicious. And make sure you feel great eating them. Does potato starch make it too sweet? Any other starch that I can sub it for? 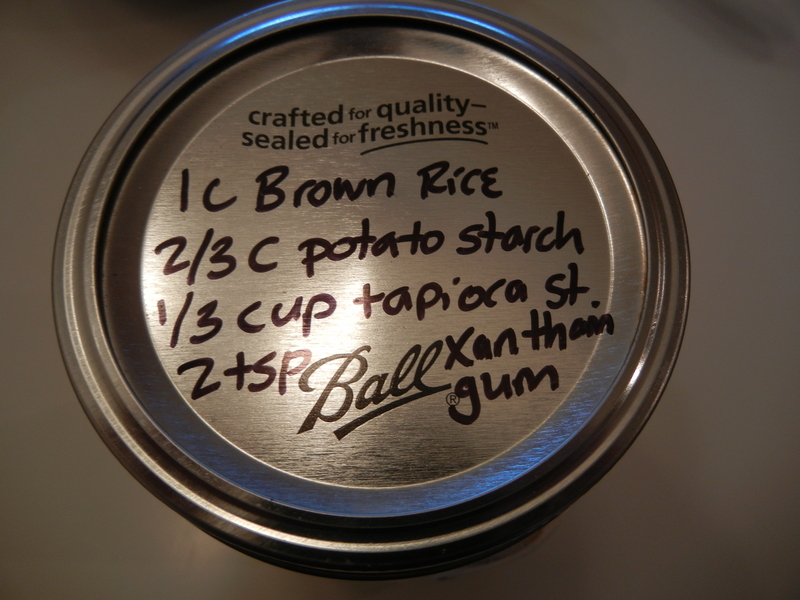 I don’t think the potato starch makes is sweet at all – I use it in savory dishes all the time! Awe thank you!!! 🙂 Please let me know what other questions you think of! Always happy to help!!! Thanks Chelsea. You have given me more options. I can relate with you since I have similar problems like you mentioned. I am hoping to be benefitted from it, if not all then a little bit. Awesome 🙂 I had SO SO much help from other online-friends when I first started this journey, it’s great to get to help others now!!! Pingback: Blueberry [Or Any Berry] Muffins [Vegan/Gluten Free] | Make them whole foods. Make them delicious. And make sure you feel great eating them. I know this may be a dumb question but I am just getting into the healthy eating. Whats the difference between the gluten free flour and just the brown rice flour you made?